New England College is also featured in our ranking Top 15 Online Master’s in Forensic Accounting. Partnered with Bisk, New England College grants the BS in Accounting on-site at Simon Center in Henniker or completely online for mathematically talented undergrads seeking to fulfill 11 percent job growth managing balance sheets. Chaired by Dr. Erin Wilkinson Hartung, a 2012 Fulbright Scholar, the 120-credit, multi-faceted degree examines the latest developments of the financial sphere. Required NEASC-accredited courses from Financial Statement Analysis to Revenue Management offer seven- or 14-week formats. Some transfer from the “Military Friendly” school’s own 60-credit AS in Accounting. Adding 180-hour internships, such as Bayer, Bloomberg, Deloitte, New London Hospital, or Taconic, is encouraged. Majors might also enter the Ethics Case Competition, earn the ALTA Petenda Scholarship, join Business Club, exchange to Kansai Gaidai Japan, and engage in Project Pericles Center. Named the U.S. News & World Report’s 173rd best online pick, the BA in Business Administration at New England College currently bills $680 per credit for accessing 12 custom concentrations, including Accounting and Finance, 100 percent at a distance. Advised by Prof. Cynthia Burns Martin, the Management Division’s 120-credit, fast-paced curriculum uses a “Triple Bottom Line” perspective to produce future for-profit corporate leaders. Seven- and 14-week Blackboard courses delve into topics like Securities Market Analysis, International Finance, and Investment Portfolios. Undergrads with an average 2.57 GPA can intern at Global Response Partners, join Student Senate, publish Edge Adventure NH, enjoy River Day, serve abroad in Kenya, and engage in the Peer Leader Program. There’s also a 148-credit, five-year Combined BA/MBA option with a 25 percent tuition discount available. Ranked America’s 671st most conservative school by Niche, New England College has a Master of Science in Accounting for School of Graduate & Professional Studies entrants seeking a greater depth of knowledge about financial document laws. Headed by Dr. Nelly Lejter, the 40-credit, 20-month map adopts the AICPA core to train Certified Public Accountants either online or in New Hampshire. Presently priced at $27,200 overall, the degree even plots a Forensic Accounting concentration for the CFE credential. GMAT scores are entirely optional to submit $35 applications to this residency-free online MS every seven weeks year-round. The Yellow Ribbon Program participant accepts credit transfers from partners like Marine Corps University and Joint Special Operations University. Directed by Dr. Sherry Kollmann, the School of Graduate & Professional Studies presents the Master of Business Administration online via Blackboard or on-campus in Forbes’ 23rd best state economy for 208 NEC post-grads with 98 percent acceptance. The 40-credit, high-demand degree plots nine innovative concentrations, including Finance and Strategic Leadership, to unlock promotion opportunities. Projecting a median $11,648 salary jump, the ACBSP-accredited curriculum has seven seven-week modules like Managerial Accounting and Economics. Entrants to the 20-month program report a median 3.0 GPA, 450 GMAT, and 80 TOEFL iBT mark. The 36 part-time faculty are active practitioners who mentor students through a Startup Institute capstone project. Exclusively in Henniker, there’s a 52-credit Dual MBA/MS in Computer Information Systems at TIME magazine’s 21st most diverse college too. 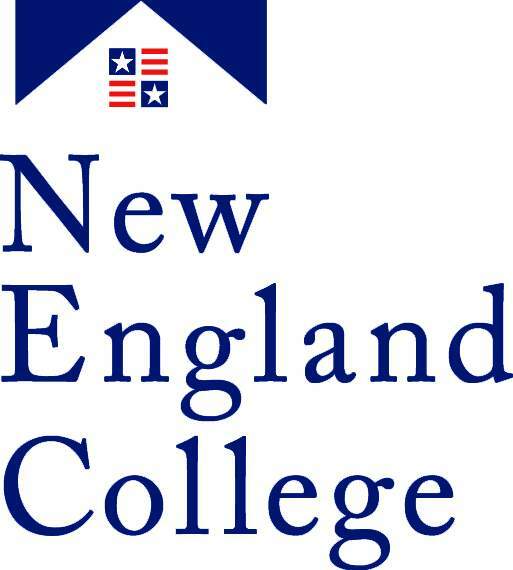 New England College is a small private college in New Hampshire. Established in 1946, it was one of many campuses that opened across the country to provide opportunities for veterans returning from overseas. Those soldiers received GI Bill benefits that allowed them to open their own businesses and buy homes as well as go back to school. During the 1970s, the college purchased a former girls’ school in England. That campus welcomed American students who wanted to do a study abroad program. Local students could also enroll and take some of the same classes that students on its New Hampshire campus did. Though the college later closed that campus, it still offers study abroad opportunities for its students. Also called NEC, the college has a large campus in a small town. It provides students with more than 200 acres of space to relax and spend time with their peers. The campus is fairly unique because it has no borders and blends right into the surrounding town. U.S. News and World Report, Washington Monthly and Forbes are just a few publications that rank NEC as one of the nation’s best schools. It also ranks as one of the world’s top colleges. Despite growing quickly over the years, New England College maintains a small town feel with an enrollment of around 2,700 students. NEC is one of just a handful of colleges in the northeastern United States with accreditation from the Accreditation Council for Business Schools and Programs (ACBSP). ACBSP accreditation can help students form professional and personal connections that can help them while they’re in school and once they start searching for jobs before or after they graduate. The college also has regional accreditation from the New England Association of Schools and Colleges (NEASC). This accreditation is helpful for many students because it’s one of the requirements for transferring credits between two schools and applying for any government financial aid. 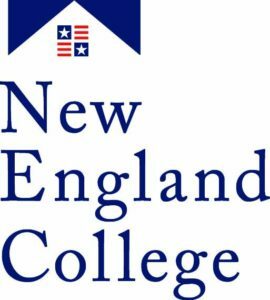 New England College makes it easy for students to apply to its forensic accounting program because it provides an online information request form. This form features just two pages. The first page asks for the highest level of education the individual complete, and the second page asks for his or her contact information. A representative from the college will then get in touch with the prospective student and go over the requirements of the program and how the individual can apply for both admissions and financial aid. There are also admissions events on the campus such as tours for interested students. The college uses the same application for most of its grad programs. This form asks for a full name, phone number, email and password. The student will also select the program that he or she wants to study. Once the college verifies that the email is correct, it will allow students to log in with their passwords and usernames. Students will fill out each section on the application, which shouldn’t take more than 30 minutes. The accounting program may ask for other information too, including a resume or a goals statement. Students usually need to submit transcripts that show they have undergrad degrees and letters of recommendation from teachers or other professionals who worked with them in the past. NEC charges different rates for all its graduate programs. Those in the standard accounting program that features traditional classes pay $565 per credit hour and fees that total around $420. The college estimates that students will spend around $23,000 to earn their MS accounting degrees. Online students pay more per credit hour but do not face any fees. Students enrolled in the forensic accounting program pay $595 per credit hour. Though the college does not offer much financial aid for graduate students, it still encourages incoming graduate students to file the FAFSA. Even if they borrowed money in their undergrad years or have bad credit, they still qualify for federal loans. The federal loan program provides grad students with unsubsidized loans and allows them to borrow more than $20,000 every year. Though some students begin paying their loans down while in school, others wait until they graduate before making any payments. Accounting majors can also consider alternative loans from other lenders and government loans designed for both students and their parents. New England College can help any student applying to its forensic accounting learn more about the top financial aid packages and programs for graduate students.